Cement Creek divides the town of Silverton in more than one way, with some residents in favor of a Superfund designation and others opposed. The Environmental Protection Agency recently told residents such a designation could increase property values. The Environmental Protection Agency told residents a Superfund designation could increase home prices and remedy mine wastewater from flowing into area waterways. At the last conference with stakeholders affected by the Aug. 5 Gold King Mine spill, the Environmental Protection Agency was at a loss to provide specific details about Superfunds, except for one statistic: The designation could raise Silverton’s property values 18 percent when all is said and done. That prediction, for the most part, was not met well by the handful of residents who sat among various state and local officials in Silverton’s packed City Hall on Sept. 4 to hear the EPA’s presentation. Those in attendance asked several questions the EPA would not or could not answer: How long is the wait list for a Superfund? How much time would a remediation take? Will brokers give loans for homebuyers? Where will the funds come from, and what happens if they run out? As EPA officials continued to offer vague answers, those in attendance became visibly agitated. “So I have to wait 25 years for my property values to go back up?” a resident asked. EPA officials pointed to a study they claim proves an uptick in property values after Superfund sites are cleaned up. Though, EPA assistant administrator Mathy Stanislaus admitted that there is a slight reduction in property values when an area is placed on the Superfund list because of the public’s negative perception of the designation. He said that during every step of remediation, however, property values tend to rise. And once complete, he said, the study showed home values around a Superfund site jump 18 percent. The study the EPA referenced is a 2011 academic analysis, “Does cleanup of hazardous waste sites raise housing values? Evidence of spatially localized benefits” that claims residential property values within three miles of Superfund sites increased 18.6 to 24.5 percent when remediation was finished. However, Christopher Timmins, co-author of the study, told The Durango Herald he “would be cautious” using those statistics when it comes to selling the case for Superfund designation in Silverton. Timmins said the study looked at the recovery of 331 Superfund sites between 1990 and the early 2000s, and the 18 percent increase is taken from a pre-Superfund proposal baseline. There were big winners and big losers, he said, and those sites on the losing end usually had the hazardous-area stigma permanently attached. He said Silverton might already have that “stigma” because of the Aug. 5 blowout, and he wasn’t sure whether the move to Superfund would have a positive or negative impact. He was more certain about the effect contaminated sites have on a community’s economy, especially one that relies on tourism. Real estate agents from two other Colorado towns said they have not seen the kind of recovery purported by the EPA. Amy Morrison, based in Leadville, said a number of factors hit the town’s property value in the early 1980s. First, a massive toxic blowout from a nearby mine that prompted a Superfund listing in 1983, and then, three years later, the mine’s closure, taking with it 3,000 employees. “It was absolute devastation,” she said. Morrison said a major issue is that when an area qualifies for a Superfund listing, potential homeowners cannot get a mortgage because brokers do not want to take the chance of insuring loans in a risky market. That concerns Silverton residents, who have not been told whether the town itself would be in the designated zone or if the designation would be confined to the Upper Animas mining district. EPA officials said more data is needed before boundaries can be set, but they said the agency would be open to writing letters to lenders in support of real estate transactions. 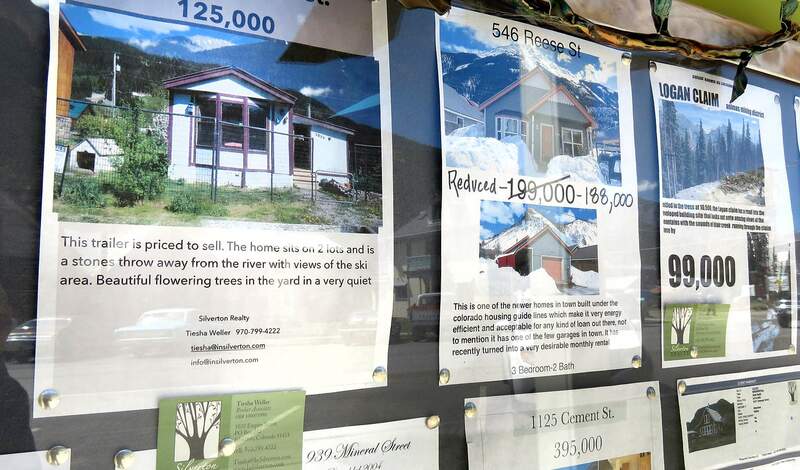 “It’s an absolute impossibility for real estate values to increase if you can’t get mortgages,” said Sharon Lance, a real estate agent in Silverton. Morrison said the town of Leadville is steadily improving, but she doesn’t think it has anything to do with the Superfund site. She said it has more to do with the reopening of Climax Mine (which brought 300 staff members) and the two water-treatment plants in place. “I think given another five years (back in the 1980s), the site would have been cleaned up on its own,” she said. Over in the Rio Grande region, the situation is even grimmer. The Summitville mine, abandoned in the late 1880s, was reopened nearly a century later by a company that trashed the area, declared bankruptcy and left. It took three years to obtain a Superfund designation, and by that time, the mine’s waste had wiped out all aquatic life on 17 miles of the Alamosa River, washing away all value in properties with it. “It was like a natural disaster, and people stay away from natural disasters,” said Bruce Steffens, who has worked in real estate in San Luis Valley for 25 years. For Steffens, the economic downturn is twofold: The mining companies create the problem, and the federal government mismanages the cleanup, bringing with it the stigma of a Superfund. Home values weren’t exactly soaring in Silverton before the river turned orange. Located within the state’s least-populated county, state demographic officials estimate that only 63 new people will move into San Juan County over the next 20 years. Steve Leisle with Silverton Realty said the town of about 600 full-time residents is still suffering from the economic meltdown in 2008, because unlike other areas, Silverton is a secondary home market. But with the health of the Animas River and the communities downstream that depend on clean water at stake, are property values really the most important part of the conversation? How that treatment plan will look is yet to be seen. The EPA said it’s conducting a preliminary investigation and plans to ask the public for input. 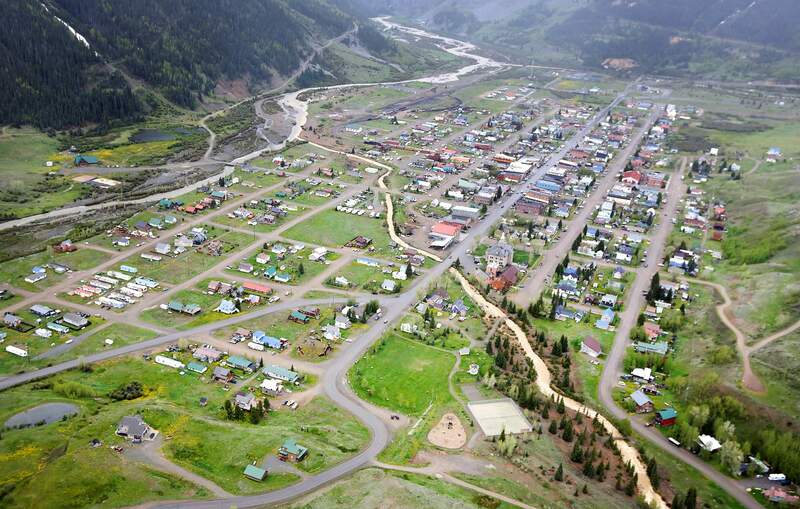 While some Silverton residents favor an alternative to being placed on the federal agency’s list, longtime resident Melody Skinner said she’s open to the Superfund. Visit bit.ly/1LhO0CQ to view the 59-page report, “Does cleanup of hazardous Waste Sites Raise Housing Values?” by Shanti Gamper-Rabindran and Christopher Timmins.